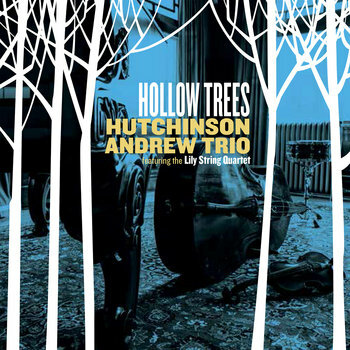 The Hutchinson Andrew Trio's sound has evolved to a new level with its fourth album, Hollow Trees - a collection that incorporates elements of classical composition and performance to create music of unprecedented depth, scope and detail. 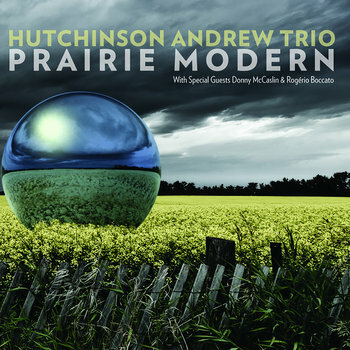 A distinct voice emanating from Western Canada, the Hutchinson Andrew Trio is excited to release their third album 'Prairie Modern'. The album consists of 13 original tracks that are a reflection of the vast array of musical and personal influences growing up in Canada's Prairie's. The album features 6 tracks with Grammy-nominated saxophonist Donny McCaslin and 3 tracks with Brazilian percussion star Rogerio Boccato. The music represents the harmony, beauty, energy and excitement of the modern Canadian West. HAT's music can be categorized as contemporary acoustic jazz. They bring their unique Prairie perspective to music mixing elements such as contemporary swing, latin, odd-meter and acoustic groove. Kodi and Chris list artists such as Robert Glasper, Aaron Parks, and Brad Mehldau as some of their influences. Their music is representative of where they come from; reflecting the serenity and beauty of the Prairies and Rocky Mountains, alongside the excitement of the vibrant and growing young cities of the Canadian West. 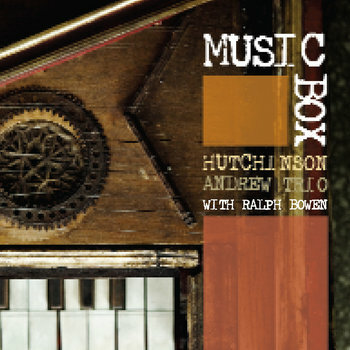 This is the second CD outing for the Hutchinson Andrew Trio. As synergistic as the playing was on the first CD, a direct comparison will show that these excellent players have become even closer in their understanding of each other. There's a lot of mind-reading going on here,and it's in the grooves. Or at least it would be if records still had their grooves. There is also a new maturity in the original tunes. It takes a certain confidence to relegate one slot to, say, Cole Porter, and devote a CD's remaining content to your own music. In this case, as you will hear, that confidence is entirely warranted. There are, happily, lots of very good players out there; but these extraordinary players are distinguished more than anything else, I think, but the sound they make; by the way they approach and treat their instruments. There are a lot of different ways to pluck a string, or depress a key, strike a cymbal, or make a reed vibrate.Each of the members of this trio and their guest have a true artist's understanding of how and when to do what with their respective instruments, and it shows in the quality of these beautifully recorded performances. Listening to them has brought me great pleasure, and now, it is your turn. 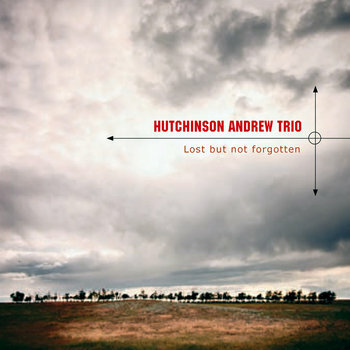 The Hutchinson Andrew Trio's debut album is a very accessible jazz album and has garnered much acclaim, including a 2006 Western Canadian Music Award nomination for Best Jazz Recording. Produced by Aaron Young, Kodi Hutchinson and Chris Andrew, "Lost but not forgotten" is a landmark that will be enjoyed for years to come.